Understand : What is Islam and Quran? Islam is a monotheistic Abrahamic religion originating with the teachings of Muhammad, a 7th century Arab religious and political figure. The word Islam means "submission", or the total surrender of oneself to God (Arabic: الله, Allāh). An adherent of Islam is known as a Muslim, meaning "one who submits (to God)". There are approximately 1.61 billion Muslims, making Islam the second-largest religion in the world, after Christianity. Muslims believe that God revealed the Qur'an to Muhammad, God's final prophet, and regard the Qur'an and the Sunnah (words and deeds of Muhammad) as the fundamental sources of Islam. They do not regard Muhammad as the founder of a new religion, but as the restorer of the original monotheistic faith of Abraham, Moses, Jesus, and other prophets. Islamic tradition holds that Jews and Christians distorted the texts God gave to these prophets by either altering the text, using a false interpretation, or both. Islam includes many religious practices. Adherents are generally required to observe the Five Pillars of Islam, which are five duties that unite Muslims into a community. In addition to the Five Pillars, Islamic law (sharia) has developed a tradition of rulings that touch on virtually all aspects of life and society. This tradition encompasses everything from practical matters like dietary laws and banking to warfare. Almost all Muslims belong to one of two major denominations, the Sunni and Shi'a. The schism developed in the late 7th century following disagreements over the religious and political leadership of the Muslim community. Roughly 85 percent of Muslims are Sunni and 15 percent are Shi'a. Islam is the predominant religion throughout the Middle East, as well as in parts of Africa and Asia. Large communities are also found in China, the Balkan Peninsula in Eastern Europe and Russia. There are also large Muslim immigrant communities in wealthier and more developed parts of the world such as Western Europe. About 20 percent of Muslims live in Arab countries. The Qur’ān ( literally "the recitation"; also sometimes transliterated as Qur'an, Koran, or Al-Qur'an) is the central religious text of Islam. Muslims believe that the Qur'an is the book of divine guidance and direction for mankind, and consider the text (in the original Arabic) to be the final divine revelation of God. Islam holds that the Qur'an was revealed to Muhammad by the angel Gabriel over a period of 23 years. 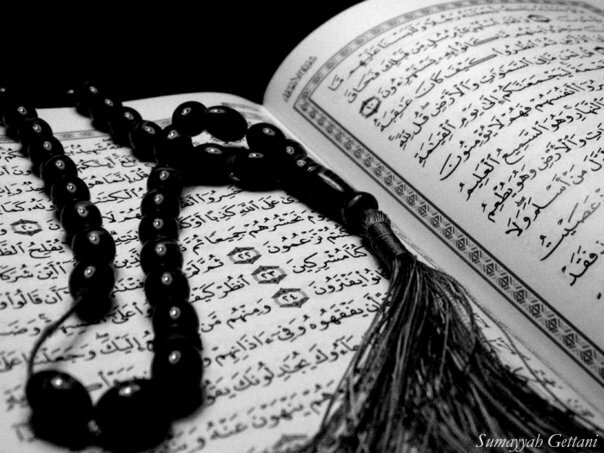 Muslims regard the Qur'ān as the culmination of a series of divine messages that started with those revealed to Adam, who is regarded in Islam as the first prophet, and continued with the Suhuf-i-Ibrahim (Scrolls of Abraham), the Tawrat (Torah), the Zabur (Psalms), and the Injil (Gospel). The aforementioned books are not explicitly included in the Qur'an, but are recognized in the Qur'ān. The Qur'an also refers to many events from Jewish and Christian scriptures, retelling some of these events in comparatively distinctive ways from the Bible and the Torah, while obliquely referring to other events described explicitly in those texts. The Qur'an rarely offers detailed accounts of historical events; the text instead places emphasis typically on the moral significance of an event rather than its narrative sequence. Details to historical events are contained within the Hadith of Muhammad and the narrations of Muhammad's Companions (Sahabah). The Qur'an itself proclaims a divine protection of its message: Surely We have revealed the Reminder and We will most surely be its guardian.